description A half-length portrait of an old man with grey hair and furrowed brown, seen in left profile. He wears a white shift and carries something over his shoulder, possibly a scythe or a bundle of cloth. 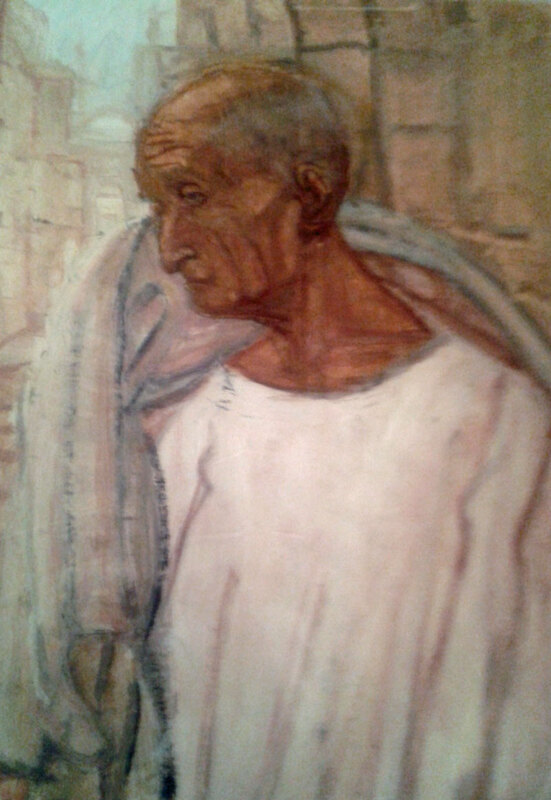 The painting was made during the artist's visit to Israel in 1958.